This study, which is in the news today, brings something to mind that happened last year with my father’s knee pain. The New England Journal of Medicine published a $12.5 million study saying that, for most people, glucosamine and chondroitin do not soothe knee pain much better than a placebo. I know quite a few people who take glucosamine for joint pain. The supplements are promoted for anyone with joint pain, including people who suffer from the most common type of arthritis, osteoarthritis. 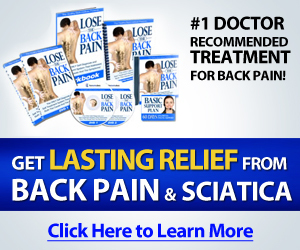 According to the study, which followed 1,583 osteoarthritis (also known as degenerative arthritis or degenerative joint disease) patients, glucosamine and chondroitin are broken down during digestion and there’s no evidence that they are incorporated into the deteriorating cartilage that is characteristic of the disease. Before embarking on my personal story about joint pain in the knee and its treatment, you can read the entire article about this recent study in the Washington Post. 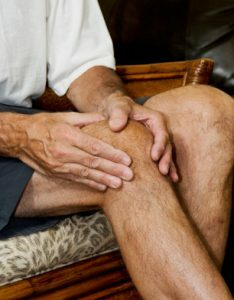 My father, who is 73 years old, has suffered from knee pain for the past few years. Last summer my folks were visiting our home in Pennsylvania (they live in Massachusetts). He was having a lot of trouble getting up the stairs from our finished basement, which serves as our guest room. Previously in the year, he received two Cortisone shots in his right knee. The first one worked well, and allowed him to have no trouble keeping up with the family at Disney World. The second one did not provide nearly as much relief as the first, and he was scheduled for a third. My father is not exactly on the cutting edge of alternative medicine. In fact, I am sure that he thinks of it as a bunch of hooey. Many of you reading this from my hometown following us on Facebook, know that he is a no-nonsense tell-it-like-it-is kind of guy and that his many years as a Chief of Police may have made him a tad bit cynical. So he stops by my office during his visit to PA and I recommended a magnetic knee brace that we carry. His response was pretty much what I expected, but eventually he said “what the hell”, dropped his pants and put it on right in the office! The design of the brace was the same as one he had received from a doctor in Massachusetts, but with large 12,800 gauss neodymium magnets. Much to his surprise, his knee was much improved before the end of his visit! He continued to wear it and actually canceled his Cortisone shot! He has been here several time since, and there are no problems getting up the stairs. He no longer wears the magnetic brace every day, but he will when his knee starts to hurt a bit. We have been carrying Therion Magnetic products for years, and we have had thousands of customer thrilled with the results. Even so, I never thought that my Dad would become a believer in magnetic therapy. You can read his review of the Therion Platinum Knee Brace right on the product page at our Better Health Innovations site. His review is the one left on 10/9/2009. For those of you who read the news about Glucosamine/Chondroitin, and are looking for a workable solution for joint pain, I can not think of a better testimonial.